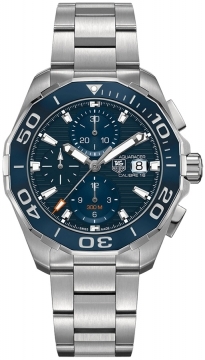 Buy this new Tag Heuer Aquaracer Automatic Chronograph cay211b.ba0927 mens watch for the discount price of £2,550.00. UK Retailer. 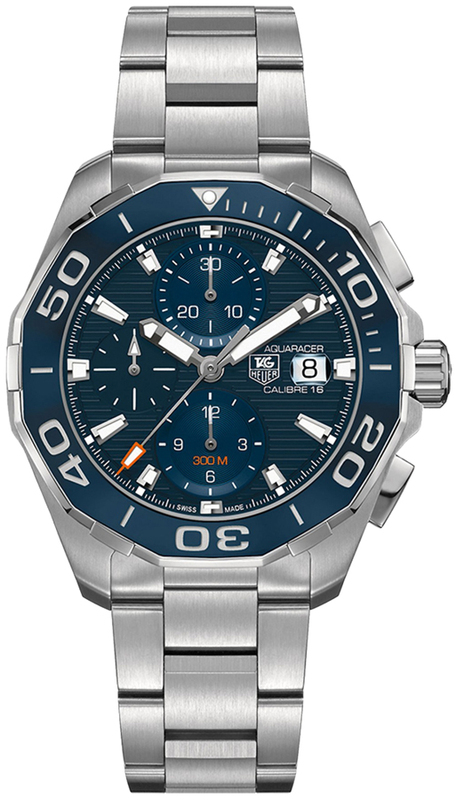 Blue dial with a horizontal linear design. 12 hour counter sub-dial at 6 o'clock. 30-minute counter subdial at 12 o'clock.